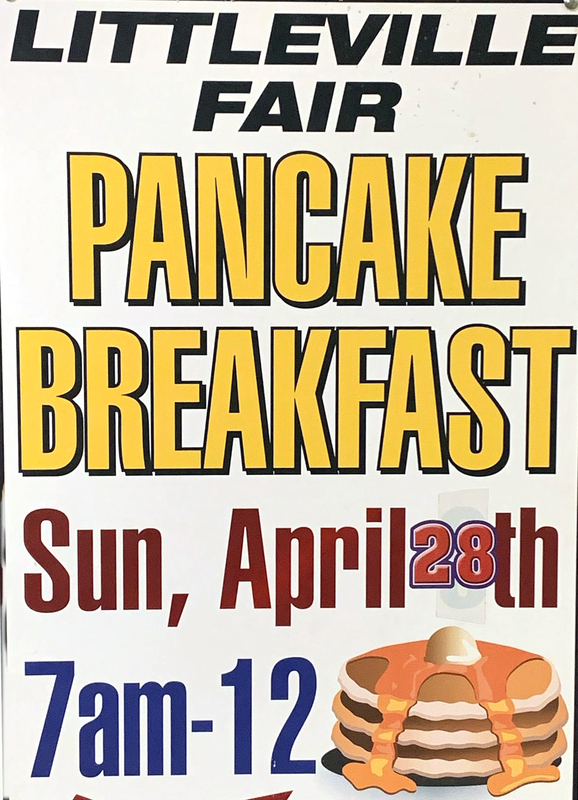 Join us for our 2nd Annual Littleville Fair Fundraising Pancake Breakfast! You won’t get a better breakfast at a better price–and you’ll help the Littleville Fair! 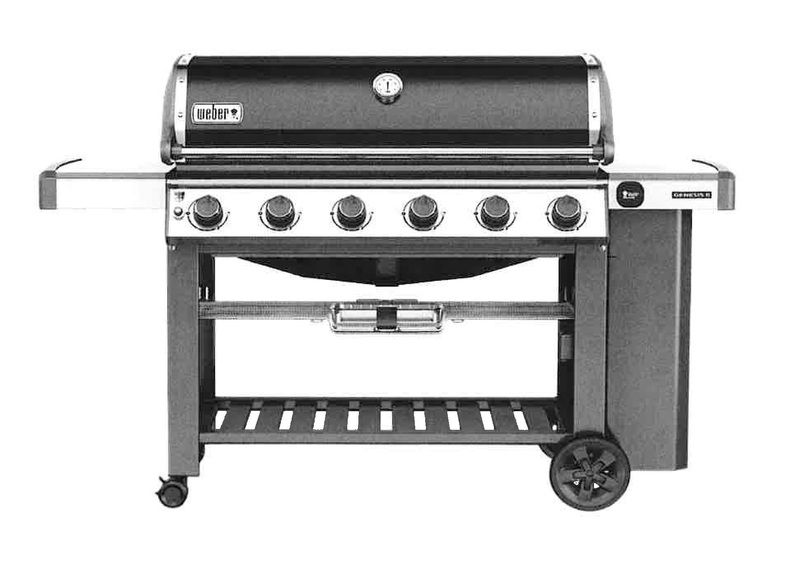 At those prices, you’ll be able to eat hearty. 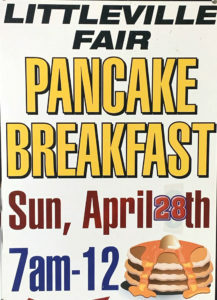 Join us at the Fairgrounds on Sunday, April 28 for a great breakfast. 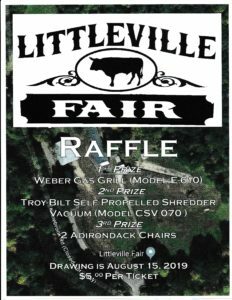 Make every bite count to support the Littleville Fair! Get your raffle tickets to support the Fair! 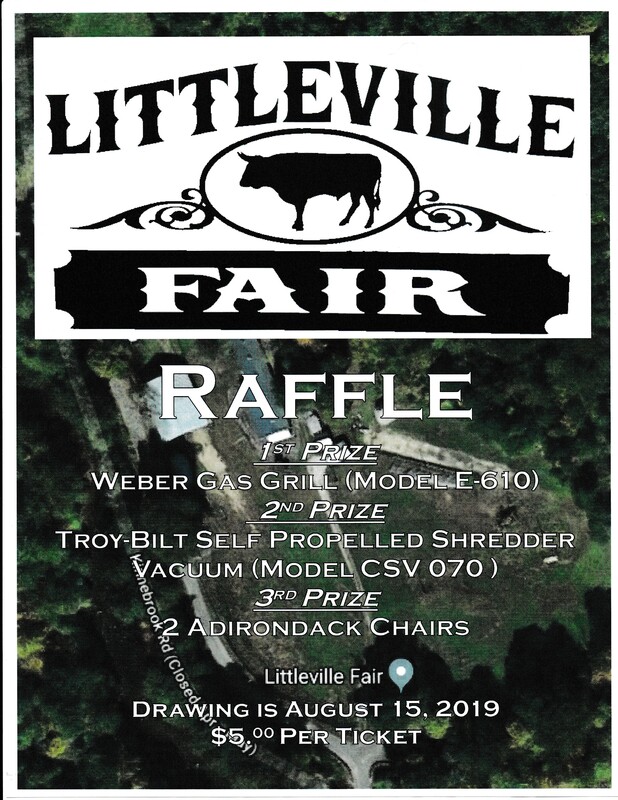 Tickets are $5 and they’re available at all Littleville Fair Events! 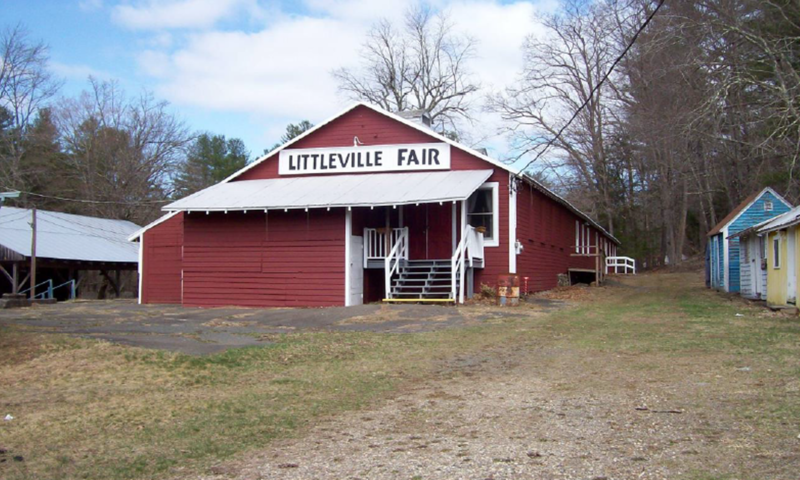 The Littleville Fair is a non-profit country fair held annually at the Littleville Fairgrounds in Chester, MA. 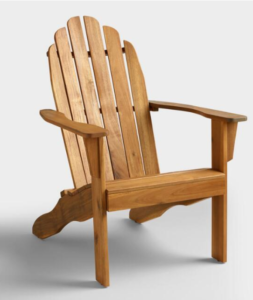 We host family-friendly agricultural, craft, and country events and performances for three days of fun during the fair, and we run fundraisers during the rest of the year.